Weight loss surgery helps people with extreme obesity lose weight. Surgery can be performed if you have a BMI (body mass index) of 40 or more, which for men means to be about 100 pounds overweight, and for women about 80 pounds. If you have lower BMI (body mass index) but have a serious health problem related to obesity the surgery can also be performed. If you want to have a weight loss surgery, we suggest you consider Poland as a destination as there you will meet professional, English speaking staff who will provide you with high-quality surgery at an affordable price. Learn why is it worth to have weight surgery done in Poland by reading our article. Obesity is a common issue which affects people of all ages and incomes, everywhere. According to The Institute for Health Metrics and Evaluation (IHME), one-third of people are overweight or obese. In last years high-income countries like the UK, the US and Australia have a large gain in obesity among men and women. Overweight people are more likely to have high blood pressure and high cholesterol which lead to increased risk of heart diseases and stroke. For people who have extra weight due to health problems like diabetes or due to hormones, it is very hard to lose weight through diet and exercise. Bariatric surgery can help you to lose weight and to improve your cardiovascular health. After the weight loss surgery abroad your blood pressure and cholesterol can return to normal levels. Most people who have type 2 diabetes are overweight. Studies have shown that weight-loss surgery can help people with type 2 diabetes to control their blood sugar levels. The New England Journal of Medicine recently published the studies during which researchers studied 150 obese patients with type 2 diabetes. After three years, 90 to 95 percent of the patients started to have a remission of diabetes and no longer needed to take insulin. For me it was hard decision. As I knew that after surgery I need to start new life. I was aware that me weight caused many problems like asthma, heart problems, and knees pain. My family was a great support, mum helped me to find best surgeon and clinic. 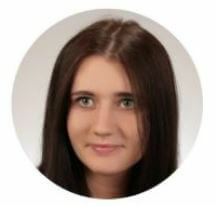 We decided to go to Poland to KCM clinic, and I could not make better decision. I spend 2 weeks in Poland, and then I had one month off. It was big financial and physical step. All in all, I am so thankful to my mum and surgeon! First three months were hard and I was so tired sometimes, but I can see changes in my body. It motivates me. I wish I had done it earler. I lost 105lb and I am proud! Thanks for help! Gosh, do not know where to start. I was extremely fat, couldn't look in the mirror. My features were all distorted from the the weight, I had no self confidence, and depression, I reached point that I wanted to commit suicide. I was in mess. My parents paid for surgery, I love the results and doctor! That was such a right decision! Clinic explained me everything, all reviews I checked about doctor and clinic are true. Doctor is genius and you will love his work. I was 225 Lbs and now I am 120, it took 2 years. I was obese and struggled with my weight for ages. I found you and you really can help people. You said I must lose much weight to be able to have liposuction and offered a gastric band to help me lose weight. I'm glad I made a decision to have it. The time after sugery required my huge constant effort, but I neve give up. Thanks to you and your support I simply don't need any liposuction, I lost all additional pounds in a year. I feel fantastic now. Thanks. I was ready to get a hold of my life again. I was like a hostage to my food addiction ... I went to therapy meetings, I found my mentor and she helped my understand that I don't need to eat my feelings... I needed help with loosing excess pounds and weight loss surgery was the right choice for me. I've done all the steps after the surgery and now I am lighter than ever 🙂 I am still a big woman, but I am no longer mortaly obese! Thank you KCM clinic and Drozdowski M.D. You guys really helped me and you saved my life! Weight loss or bariatric surgery, is the surgery that is used to treat people who are dangerously obese. The main thing you and your doctor should do is to choose the type which best fit your goals. 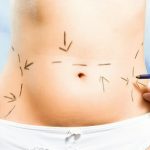 There are several types of weight loss surgery abroad. 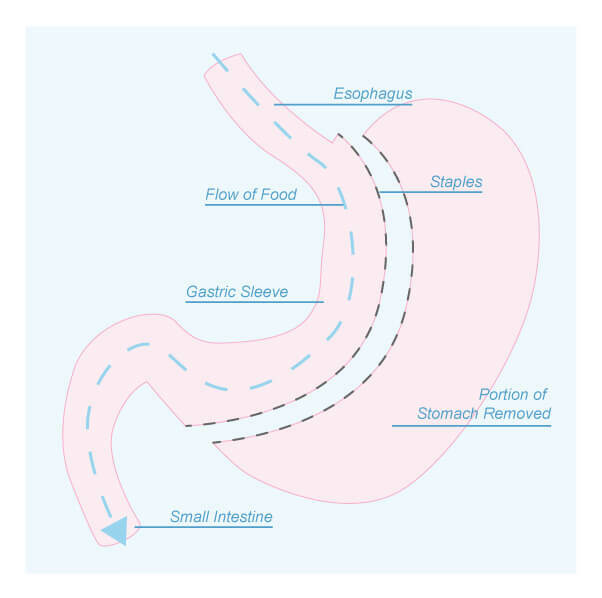 Gastric Sleeve Poland – during the surgery the surgeon removes a portion of the stomach. As a result, hunger-causing hormones are secreted and you feel less hungry and feel full sooner after eating. 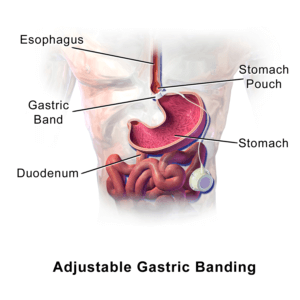 Gastric Bypass Poland – after the surgery your stomach size is shrunk and the intestines are rearranged which means that you feel full sooner after eating. 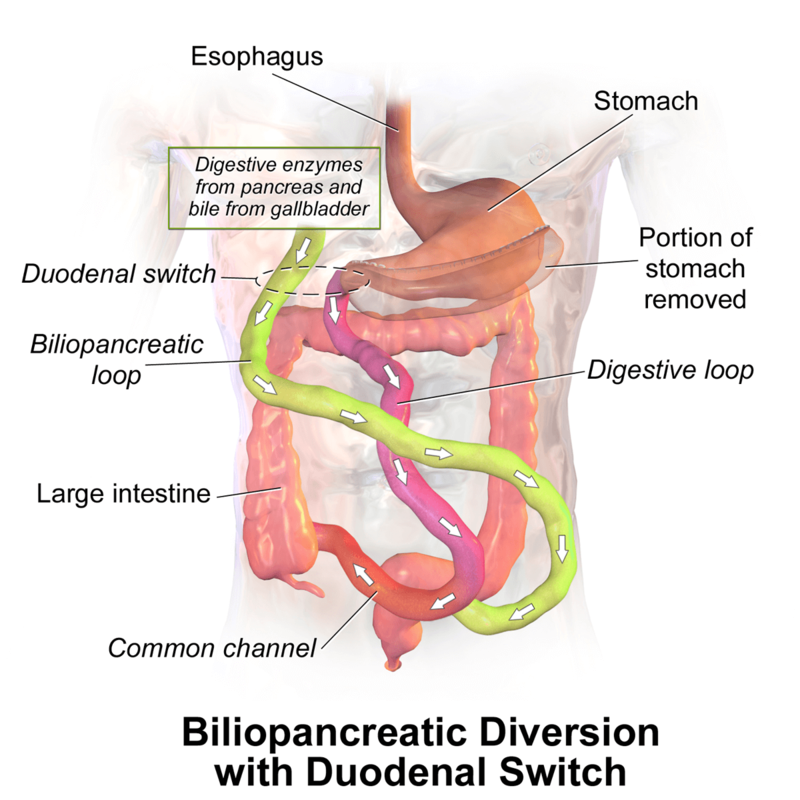 Biliopancreatic Diversion or Duodenal Switch – during the surgery, the surgeon will reduce stomach with the help of gastric sleeve, after that he will rearrange the intestines in order to reduce the number of calories the body can absorb. 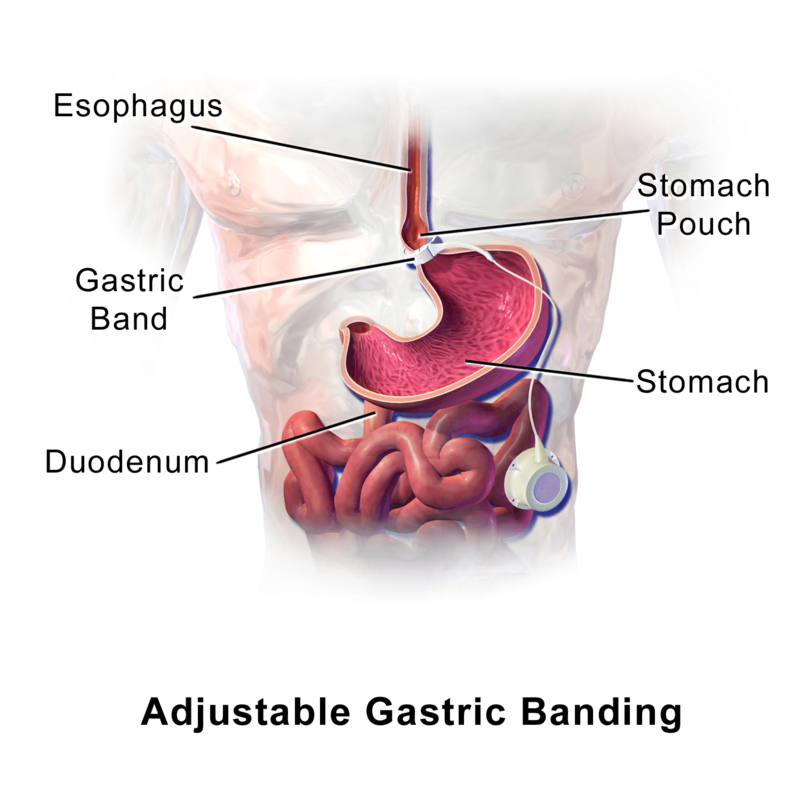 Lap-Band Surgery Poland – the surgeon inserts the band that wraps around and squeezes a narrow section in the upper-middle part of the stomach. 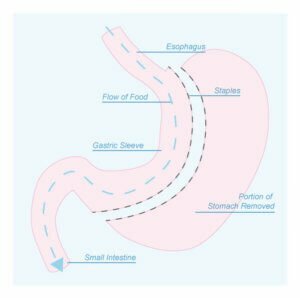 The section that is created above the band becomes a small stomach which fills up quickly, as a result, you feel full sooner and eat less. 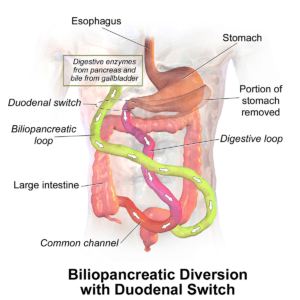 vBloc Therapy – vBloc is the device which is inserted into your stomach. The device periodically blocks the delivery of hunger signals to the brain. As a result, you feel hunger not that often and feel full sooner after smaller meals. 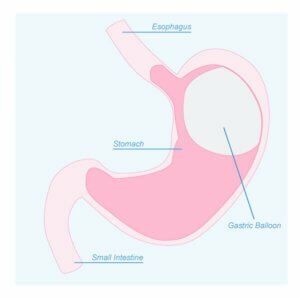 Gastric Balloon Poland – the surgeon will insert a balloon into your stomach which will leave less room for food. As a result, you eat less and feel full sooner. 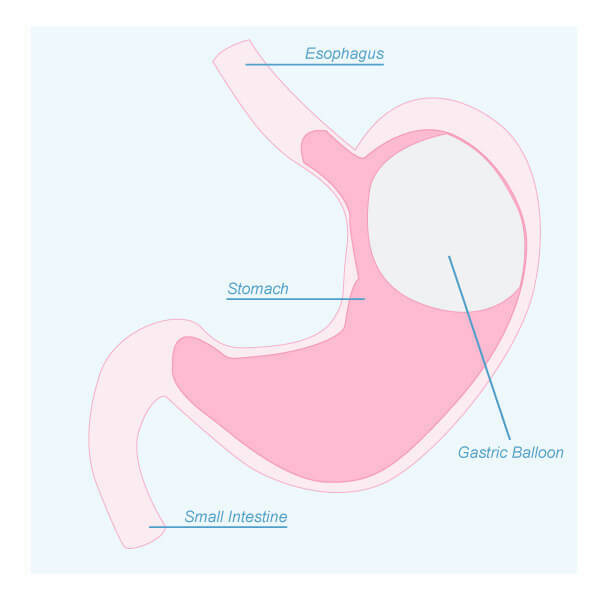 The balloon must be removed in 6 months, which makes this type a temporary solution intended to make you follow medically-supervised diet and exercise program. Poland is the country in the European Union, which means that all of the hospitals and clinics are working according to European standards. At the same time, prices in Poland are much lower than for example in the UK or Germany. By choosing Poland you can be sure that you will get a high-quality surgery at a cheap price. The results of weight loss surgery in Poland, are known to be long lasting. Weight loss surgery abroad can achieve impressive results in terms of the amount of weight lost. For many patients, weight loss surgery is a start to a long-term diet and exercise program. If you want to learn more about weight loss surgery in Poland or want to book the consultation in Poland, contact us!